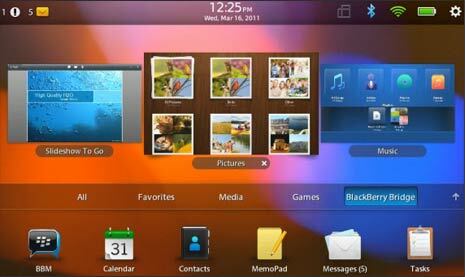 Playbook is a tablet device from Blackberry which can be easily connected to any Blackberry smartphone for data access. Connection between Blackberry Playbook and Blackberry smartphone is possible using free Blackberry bridge application and bluetooth technology. Once you install this application on smartphone you can connect playbook and smartphone easily. After connection you can access email, calendars, BlackBerry Messenger, files and other data on your Blackberry Playbook tablet. 1. First you need to make sure that Blackberry bridge application is installed on your Blackberry smartphone. You can easily download it from BlackBerry App World. 2. On your Blackberry Playbook tablet’s status bar, tap Settings icon and then tap on Blackberry bridge icon. 3. Then tap Setup and continue. You may get prompt to enter name of your tablet. Next screen will show barcode on your Playback tablet. 4. Now open Blackberry bridge app on your Blackberry smartphone. Then tap add tablet > Next. 5. Then point your smartphone camera towards barcode display on Playbook tablet screen. After successful scan, you should able to establish connection. After the connection, you can access lot of things on your Playbook tablet including: Blackberry messenger, messages, calendar, contacts, tasks, memos, bridge files and bridge browser. Even after following above steps, do you have problem connecting Blackberry Playbook with Blackberry smartphone? There could be number of reasons, check the following list to isolate cause of the issue. 1. 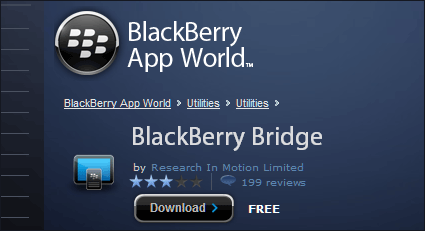 Check if Blackberry bridge app is correctly installed on your smartphone. Make sure bluetooth connection on smartphone is ON and it your smartphone in within the signal range. 2. Your smartphone might be connected to some other tablet. Disconnect the current connection and try connecting the correct tablet in Blackberry bridge app on your smartphone. 3. Regarding content access, you can search only the titles of memos, not the contents. If you are unable to find draft messages, check at lower part of inbox for draft messages.